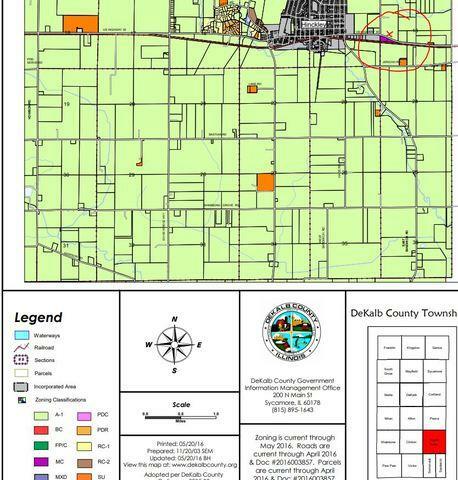 4.37 acres of land on Highway US 30 just East of the town of Hinckley. Zoned heavy industrial, perfect for most all usage. Backs right up to train tracks and easy access to highways.